Page boys play an important role in a wedding. They’re usually aged between 3 and 10 and are most commonly related to either the bride or groom. As well as adding a “cute factor” to the bridal party, page boys also give your wedding photographer some great picture opportunities! What is your page boys role? Traditionally page boys are in charge of carrying the brides train down the aisle, but nowadays they play an even more important role: ensuring the safe arrival of the wedding rings at the altar. This can put quite a bit of pressure on the wee guys shoulders! What if the rings get lost or accidentally get swallowed up? If you are worried about your precious rings dissapearing you may like to replace them with replicas and have your page boy carry these down the aisle instead. You can squirrel your actual rings away with one of your bridesmaids or ushers. How to dress your page boy? Get carried away as much as you like with making your page boy look as dapper as possible! 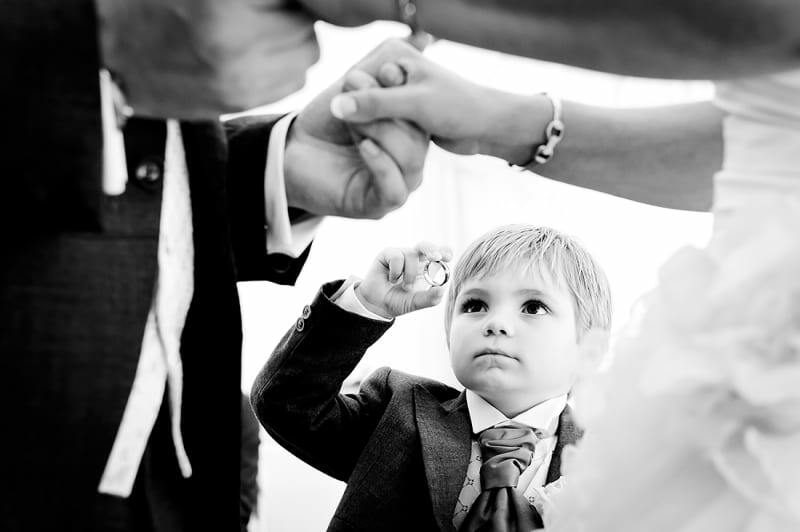 A page boy usually matches the groom and the ushers in a tux, waistcoat, tie or if you can’t resist… a mini bow tie! Roco Clothing have some great options. 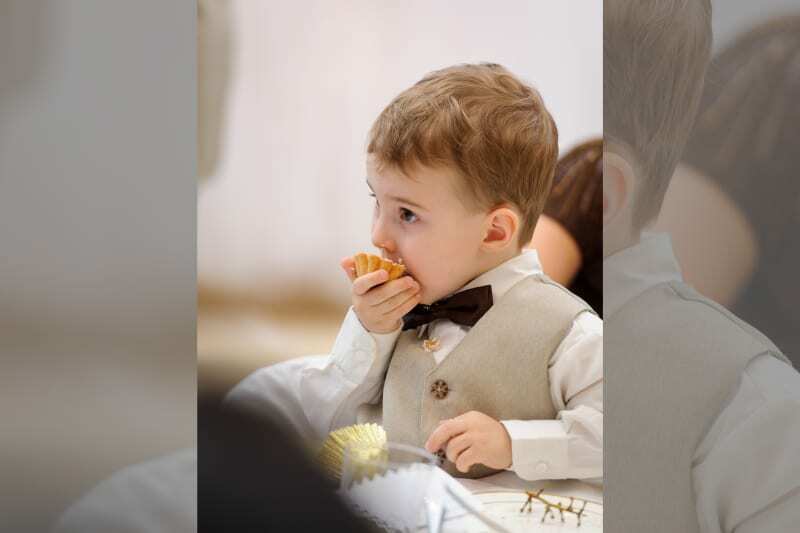 Remember that younger boys are more likely to throw a tantrum during the wedding ceremony or, even worse may completely refuse to take part. 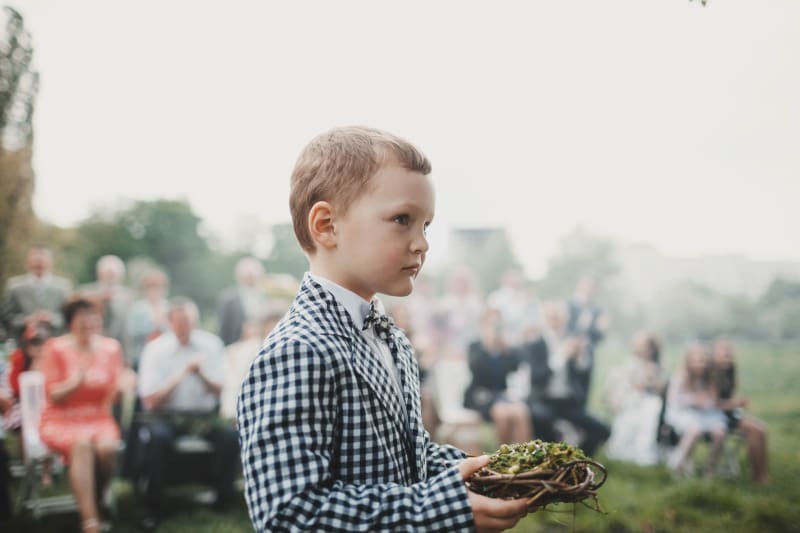 To avoid either situation, you may wish to have a slightly older page boy OR not have one at all…remember that page boys are by no means an absolute must for a wedding. If your little man does throw a wobbly on the day, then bribing him with sweets, toys or other special treats is certainly an option to consider (shhh, we didn’t tell you that). Finally, to make your page boy feel even more special or to give him a bit of encouragement, consider buying him a small “Thank You” present. Not on The High Street have a whole page dedicated to presents for page boys!